PFC To Include Techne Training App For 2018-2019 Season | Plattsburgh F.C. August 28, 2018 – Plattsburgh Football Club has signed a full year agreement to allow our 2018-2o19 registered and rostered players in the u10-u19 age groups to have full access to the Techne Futbol skill training app. The Techne App was created to help players develop their soccer ball mastery at home with guidance and curriculum from Yael Averbuch, current professional player for Seattle Reign. Many clubs and State ODP programs have added this great resource as part of their player registration and PFC is now part of that group. Please watch for an e-mail from your team’s coach on or after September 1 to get started. In the meantime, make sure to read the letter below and click on the video links to learn more about Techne! My name is Yael Averbuch and I’m in my 10th year as a professional soccer player, currently playing for Seattle Reign FC. I’ve played all over the country and the world. The single most important thing I’ve done over the years that’s allowed me to play at the highest level and feel empowered to help myself improve is the time I spend with the ball on my own. 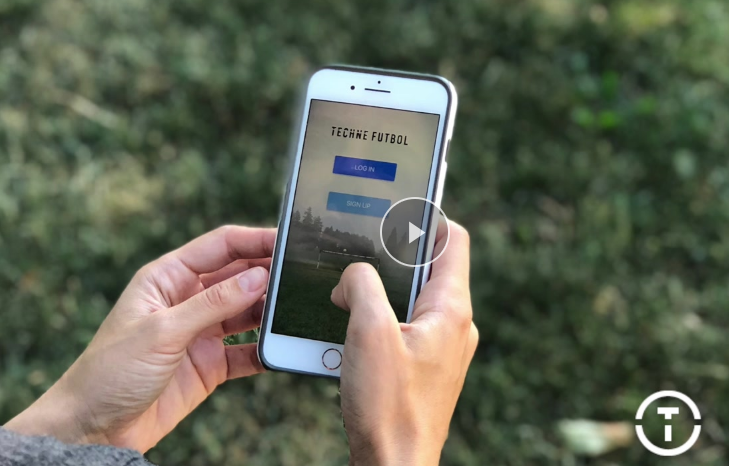 I’m excited to be working with your club to offer you access to the Techne Futbol app, which is something I created to help inspire and guide players to train on their own. For a bit more information on the app and how it works, you can visit the website (linked above) or check out this short video on the Techne Player Experience. Once your coach has gotten your team set up, you will be receiving an email invitation to claim your account with Techne. If you do not receive the email or have any questions once you do, please contact support@technefutbol.com. Whether your goal is just to have fun and enjoy playing with your teammates/friends, or to take soccer to the next level and play in college or professionally, it’s important for every player to take ownership over his/her development. I hope you take full advantage of this resource and enjoy the training and competitive elements. I’m excited to be working with Plattsburgh FC!